A student from a Cromwell center for children with intellectual disabilities, autism spectrum disorders, and psychiatric disorders fell through the ice and had to be rescued this morning, according to Cromwell police. 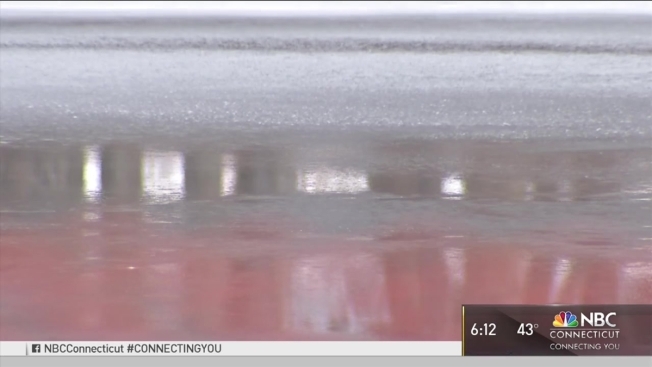 Police said they received a 911 call at 9:41 a.m. about a student at Adelbrook standing on the ice in the middle of a pond near the school, so police and firefighters responded. The staff followed protocol when the student became upset during class and did not use their hands, the CEO of Adelbrook said. Then the student went down the hill and about 25 feet out on to the icy pond, which students are told not to go into. As officers at the scene tried to talk to the student and have him walk toward them, the ice broke and the student fell into the water, chest deep, police said. The officers threw a rope and tried to pull the student to shore, but the boy was unable to hold onto it, so Jeremy Hiriak, a member of the Cromwell Fire Department, put in a cold water suit, crawled out on the ice and officers pulled both of them to shore. Police said the student was submerged chest deep for less than three minutes and was not injured during, but was transported to Middlesex Hospital to be evaluated.